" This aims to create gives a sense of togetherness between armies, ASN, and locals"
3,000 South Jakarta people are about to take part in mass dance to break the record of the Indonesian record museum (MURI), Gemu Famire dances. It is scheduled to be held to commemorate the 73rd national army (TNI) anniversary. South Jakarta Secretary, Jayadi admitted that he is very supporting the event. The dance will be participated by members of army, ASN and locals. "This aims to create gives a sense of togetherness between army, ASN, and locals. Gymnastics is done together and integrated. Minimum 3,000 participants," he expressed, Friday (8/24). It is held in Block S Field area, Kebayoran Baru on September 4, 2018. The number of participants is hoped able to exceed the target. "Hopefully we can attract more participants," he told. Military District Commander (Kasdim) Chief, Major Inf. 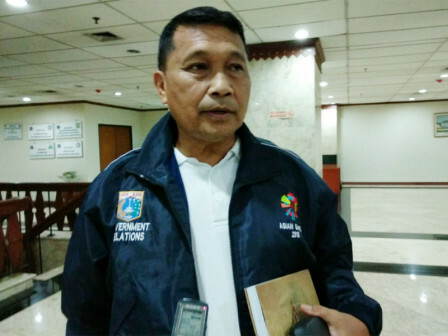 Sunarko expressed that the anniversary that will be held simultaneously throughout Indonesia will involve local governments to collaborate. "We are asking for support from the South Jakarta to succeed it," he stated.